Abstract: Since electrical energy is the form of energy that cannot be effectively stored in bulk, it must be generated, distributed and consumed immediately. But load on the power plant is variable in nature. The power plants are designed to meet the maximum demand. However, there is large difference between peak demand and average demand which results in high generation cost per unit. Since peak demand is increasing sharply that demand large installed capacity. It is not possible for developing countries to meet the targeted capacity by installing new power plants. Since electricity is an essential input in all the sectors of any country, hence we need to focus on alternating means by which electricity can be saved and effectively utilized. The effective solution to above said problem is DSM strategies that lower the peak demand and bring immediate benefit to utilities and customers. 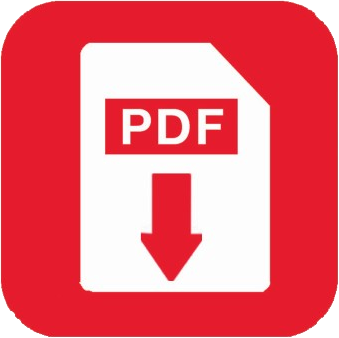 This paper deals with the basic concept of Demand Side Management (DSM), objective, problems, types of DSM measures and theoretical and practical approach by which electricity demand could be reduced at consumer end through effectively control and manage loads from utility side, and to use unsustainable energy practices into more efficient. 1. Padmanaban, S., Sarkar, Ashok,” Electricity demand side management (DSM) in India – A Strategic and policy perspective”, Office of Environment, Energy and Enterprise US Agency for International Development, New Delhi, India. 2. Rajan, C.C.A,” Demand side management using expert system”, IEEE Conference on Convergent Technologies for Asia-Pacific Region TENCON 2003. 4. Mukhopadhyay,S.,Rajput, A. K,Demand side management and load control. An Indian Experience”, IEEE trans, on power and Energy Society General Meeting, 2010. 5. Boshell, F., Veloza, O.P.,”Review of developed demand side management programs including different concepts and their results”, IEEE/PES trans. On Transmission and Distribution conference and Exposition, Latin America, 2008 . 6. Yun, Lim, Taylor, Philip,” Innovative Application of Demand Side Management to Power Systems”, First International Conference on Industrial and Information Systems, ICIIS, Sri Lanka, 8 - 11 August 2006. 7. Yang, Zhirong,” Demand side management and its application”, Beijing:China electric power press, pp 60-90, 2007. 8. Gupta, B.R.,”Generation of electrical energy”, 2nd edition, Ch: 21, S. Chand, 2007. 10. Sui, Huibin, Sun, Ying, Lee, Wei-Jen,”A demand side management model based on advanced metering infrastructure”, IEEE 4th international Conference on Electric Utility Deregulation and Restructuring and Power Technologies (DRPT), July 2011. 11. Qureshi, J.A., Gul, M. Qureshi, W.A,” Demand Side Management through innovative load control”, IEEE Region 10 Conference, 2010. 13. Xiao-Hong Zhu,” Electricity Demand Side Management and its Different Promotion Measures. Electr. Power Tech. Coll.”,Wuhan IEEE Conference on Power and Energy Engineering,. Asia-Pacific, APPEEC 2009. 14. Seng, Lim Yun Taylor, Philip,” Innovative Application of Demand Side Management to Power Systems”, First International Conference on Industrial and Information Systems, 2006. 15. Deng, Fang.,”Application of the power load control system for large customers in demand side management”, Distribution & Utilization, vol. 8, pp. 66-68, 2007. Abstract: This paper introduces the system which is the combination of GIS information along with Educational information. This system will make Educational decisions very much easier. It provides several functionalities like browsing the educational information to make educational decisions. By using thematic map it shows suitable region to apply new educational scheme and also shows in which region which scheme is active. Keywords: Decision support system, Geographic information system, Quad tree, Spatial data, Education based decisions. 1. Wang Aihua, Guo Wenge, Xu Guoxiong, Jia Jiyou, Wen Dongmao Educational Decision Making System in 2009. 3. Tegegn Nuresu Wako. Education Management Information System an Overview. Abstract: The recent developments in the area of high speed micro-electronics and computational intelligence has opened new opportunities in smart sensor design. In this paper a generic pattern recognition framework is presented for integrated sensor based system design. Two case studies are described for Rock-Image Classification and Pulse Shape Identification. Both applications use same framework that consist of pre-processing of sensor data, wavelet based data compression, feature extraction and neural net based feature classification. The rock identification combines multi-parameter analysis to improve the accuracy. The proposed system is tested using above two case studies for real time application. The average accuracy observed for pulse shape and rock type identification is 96% and 95% respectively. The system is applicable for similar sensor based embedded systems. The application is developed under a Planetary Exploration Technology Research project. Keywords: feature extraction, neural net based classification, Pulse Shape Identification, Rock-Image Classification, wavelet based data compression. 4. Himashu Mazumdar, Agnel Amodia, Pratik Patel “Rock Image Classification” in Conference on Planetary Science and Exploration, physical research laboratory, December 2011, pp. 61-62 . 5. Himashu Mazumdar, Agnel Amodia, Himanshu Purohit “Pulse Shape Recognition using Wavelet and Neural Network” in Conference on Planetary Science and Exploration, physical research laboratory, December 2011, pp. 63-64. 6. Himanshu S. Mazumdar & Leena P. Rawal, "A Neural Network Tool Box using C++", in CSI Communications, April, pp. 22-25, 1995. 8. Shahshahani “Data compression by Wavelet Transform”. 10. B.Lerner, H.Guterman, M.Aladjem and I.Dinstein, (1996) "Feature extraction by neural network nonlinear mapping for pattern classification", Proc. of the 13th Int. Conf. on Pattern Recognition, Vienna, August, 25-30, Vol.IV, IEEE Computer Society Press, 320-324. Abstract: In this study the suitability of using core veneer made from renewable natural fiber i.e. Non-oven jute felt, which is the second most widely used natural fiber for manufacturing of plywood was investigated to minimize the gap between demand and supply of wood veneer. The renewable natural hard jute fibre was impregnated with phenolic resin and was used for the manufacture of plywood. Plywood of 4 mm, 6 mm, 12 mm and 18 mm thick were manufactured by using phenolic resin impregnated jute felt having thickness 16mm of 1850 GSM (approx.) as a core in place of the natural wood veneer. From the study, it can be inferred that PF Resin impregnated Non oven jute felt as a natural fibre can suitably replace the wooden glue core veneer to manufacture ply board up to 80% as an alternative substitute of wood. The physico-mechanical properties such as surface roughness, moisture content, density, water absorption, swelling, compressive strength, tensile strength, static bending strength, glue shear strength, of the plywood manufactured by using jute felt as core veneer with different resin dilution have been studied. Data revels that most of the physico-mechanical properties of the plywood showed satisfactory results meeting the requirement of different grades of plywood tested as per IS: 1734 - 1983. The accelerated study of the glued core after impregnation with jute felt have been carried out for three months before plywood manufacture after storing it in proper temperature and humidity. The data revealed that there is no appreciable change in bond quality and mechanical properties of the plyboard manufactured after storing the veneer up to 30 days. The study concluded that wood substituted jute composites could be an ideal solution with ever depleting forest reserves where utilization of renewable resources will be beneficiary for plywood industries to meet the challenges during scarcity of veneer by reducing the cost of imported veneer. Keywords: Indigenous technology Non-oven jute felt, physico-mechanical properties, wood substituted. 2. M. F. Sefain, N. A. Naim, M. Rakha, “Effect of thermal treatment onthe properties of sugar cane bagasse hardboard” J Appl Chem Biotechn, 1978, 28(2), pp. 79. 3. F. Mobarak, Y. Fahmy, H. Augustin, “Binderless lignocellulose composite from bagasse and mechanism of self-bonding”, Holzforschung, 1982, vol. 36, pp. 131–135. 5. W. C. Lee, X. Bai, A. P. Bangi, “Flexural properties of bamboo reinforced southern pine OSB beams (Journal style),” FPJ, 1997, 47(6), pp. 74–78. 6. M. N. M. Yusoff, A. A. Kadir, A. H. Mohamed, “Utilization of bamboo for pulp and paper and medium density fiber board” (Proceedings style)” National Bamboo Seminar, Kuala Lumpur, Malaysia. A. M. Sulastiningsih, S. M. Nurwati, S. Kawai, “The effects of bamboo cement ratio and magnesium chloride (MgCl2) content on the properties of bamboo–cement boards (Proceedings style),” ACIAR., Canberra, Australia, 2002, No. 2. 8. M. D. Hill, J. B. Wilson, “Particleboard strength as affected by unequal resin distribution on different particle fractions (Journal style),” Forest Prod Journal, 1978, 28(11), pp. 44–48. 10. IS: 1734 -1983 (Part 1 to 20), “Method of test for plywood”, Bureau of Indian Standards, New Delhi. 11. L. G. Esteban, P. D. Palacios, F. G. Fernandez, J. Ovies, “Mechanical properties of wood from the relict abuies pinsapo (Journal style)”, FPJ, 2009, vol. 59 (10), pp. 72-78. 12. Pavithran, P. S. Mukherjee, M. Brahmakumar, A. D. Damodaran, “Impact properties of natural fiber composites (Journal style)”, JMS Fillers, 1987, vol. 6, pp. 882-884. 13. M. K. Sridhar, G. Basavarappa, S. G. Kasturi, N. Balasubramanian, “Mechanical properties of jute/polyester composites”, Indian Journal of Technology, 1984, vol. 22, pp. 213-215. 14. S. Nangia, S. Biswas, “Jute Composite: Technology & Business Opportunities (Report style)” TIFAC. Abstract: A novel voltage to current circuit used in the slope compensation of a boost DC-DC converter is proposed. Compared with the normal V-I converter, it has a better linear relation and a larger input voltage range. It can implement slope compensation of the power converter, eliminate the sub-harmonic oscillation and decrease the noise infection effectively. Keywords: Boost converter, Voltage-current converter, Slope compensation. 1. Zhao P. Design of Current control mode in single-chip switch. Chengdu: University of Electronic Science and Technology. 2005, pp. 234-245. 2. Gao Y, Qiu X Y, Wang J. Reaearch of the peak current control of switch on the slope compensation. Instrumentation Journal. 2003, 8: pp. 200-201. 3. Abraham I. Pressman. The device of power converter, second edition. Electronics Industry Publishing House. 2005, pp. 101-103. 4. Chen G M, Cao J L, Wang X C. Design of the slope generator of boost DC-DC converter with peak current control mode. Shanghai University Journal. 2004, 10(1): pp. 357-358. 5. Cheung F. Lee and Philip K. T. Mok. A Monolithic Current-Mode CMOS DC-DC Converter with On-Chip Current-Sensing Technique. IEEE Journal of Solid-State Circuits, 2004, 39(1): pp. 3-14. 6. Zhang W P. Model and Control of Switch Converter, The first edition. Chinese power Publishing House. 2006, pp. 191-195. 7. Behzad razavi. Design of analog CMOS integrated circuits, the front page. Xi'an Jiaotong University Press. 2003, pp. 17-18. 8. Yang R. Design of slope compensation circuit with Peak current control mode. Power Electronics Technology. 2001, 35(3): pp. 35-38. Abstract: The design of a ground station for an unmanned vehicle is envisaged.information.Image data from the unmanned vehicle is logged int the ground station which contains an Observation The Ground –Air Data Link This link needs to carry a large volume of information which has to be delivered with high reliability and with redundancy. Keywords: The Ground –Air Data Link This link needs to carry a large volume of information which has to be delivered with high reliability and with redundancy. 2. Quadratic Program (MIQP) solver for Matlab, Alberto Bemporad andDomenico Mignone, Automatic Control Laboratory, ETH Zentrum, Zurich, Switzerland,2004. maximumlateness, P.J. Brucker, Proc. IX International Symposium on Mathematical Programming, Budapest, 1976. 5. [Brucker99] A branch and bound algorithm for a single-machine scheduling problem with positive and negative time-lags, P. Brucker, T. Hilbig, and J. Hurink, Discrete Applied Mathematics,1999. 6. [Butazo97] Hard Real-Time Computing Systems, G. C. Butazo, Kluwer Academic Publishers, 1997,0-7923-9994-3. 8. G. Schmidt, and J. W¸eglarz, Springer, 2001, 3-540-41931-4 sdk.asp, 2005, (Accessed April 2005). Abstract: Recent earthquakes in which many concrete structures have been severely damaged or collapsed, have indicated the need for evaluating the seismic adequacy of existing buildings. About 60% of the land area of our country is susceptible to damaging levels of seismic hazard. We can’t avoid future earthquakes, but preparedness and safe building construction practices can certainly reduce the extent of damage and loss. In order to strengthen and resist the buildings for future earthquakes, some procedures have to be adopted. One of the procedures is the static pushover analysis which is becoming a popular tool for seismic performance evaluation of existing and new structures. By conducting this push over analysis, we can know the weak zones in the structure and then we will decide whether the particular part is retrofitted or rehabilitated according to the requirement. In this paper we are performing the push over analysis on flat slabs by using most common software SAP2000.Many existing flat slab buildings may not have been designed for seismic forces. Hence it is important to study their response under seismic conditions and to evaluate seismic retrofit schemes. But when compared to beam-column connections, flat slabs are becoming popular and gaining importance as they are economical. Keywords: Pushoveranalysis, Retrofitting, Rehabilitation, Columnjacketing, Response Spectrum, Demand curve, Capacity curve, Plastic hinge. Abstract: In this paper, a mathematical model of the three-phase induction motor drives in abc reference frame is described. A computer simulation of the motor drive is provided which utilized Lab VIEW software. This simulation can be conveniently used to study the level of the ‘Fault Tolerant System’ parameters like current, voltage, torque, speed and also simulate the three phase Induction Motor for diagnosis of the short circuit and normal case using Laboratory virtual Instrumentation Engineering Workbench (LabVIEW). Keywords: Three Phase Induction Motor, Fault Diagnosis System. 1. G.B. Kliman, W.J. Premerlani, R.A. Koegl, D. Hoeweler, A New Approach to On-Line Turn Fault Detection in AC Motors, in: IAS Annual Meeting, October 1996, 1996, pp. 687–693. 3. William.T.Thomson and Mark fenger: “Current signature analysis to detect induction motor faults ’’ - IEEE Transaction. On IAS Magazine, Vol , 7 , No .4 , pp , 26-34 , july / August 2001. 4. S. Williamson, K. Mirzoian, Analysis of cage induction motors with stator winding faults, IEEE Trans. Power Apparatus Syst. PAS-104 (7) (1985) 1838–1842. 5. William.T.Thomson and Ronald J. Gilmore : “ Motor Current signature analysis to detect induction faults in Induction motor Drives – Fundamentals , Data Interpretation and Industrial case Histories ’’ - proceedings of Thirty second turbo machinery symposium – 2003. 6. M. Arkan, D. Kostic-Perovic, P.J. Unsworth, Online stator fault diagnosis in induction motors, IEE Proceedings: Electric Power Applications 148 (6) (2001) 537–547. 9. Tavner. P. and Penman .J.,Condition Monitoring of Electrical Machines, Research Studies Ltd., London, England John Wiley & Sons. 10. [Peter Vas, “Parameter estimation, condition monitoring and diagnosis of electrical machines”, 1995. vol. 2, Aug. 1987, pp. 740–741 [Dig. 9th Annu. Conf. Magnetics Japan, 1982, p. 301]. 11. Mr.K. Vinoth Kumar received his B.E. degree in Electrical and Electronics Engineering from AnnaUniversity, Chennai, Tamil Nadu, India. Abstract: The thermo-mechanical behaviour of Aluminium alloy reinforced with nanoclay particulate was investigated by resonant-bar method. The aging response was detected in specimens, damping and DSC observation. The damping capacity of composite increased with increasing reinforcement of nanoclay and showed a peak in damping capacity during aging. These results indicate that the aging and precipitation kinetics in the matrix alloy are significantly accelerated due to the presence of reinforcement. The damping mechanisms, intrinsic damping, interface damping, dislocation damping and grain boundary damping are discussed. 1. R.J.Perz, J.Zhang, E.J.Lavernia, “Strain amplitude dependence of 6061Al/graphite MMC damping”, Computational Materials Science,vol.27, pp.1111-14, (1992). 2. S.C.Sharma, A.Ramesh, Effect of heat treatment on Mechanical properties of particulate reinforced Al6061 composites, Journal of Materials Engineering and Performance, vol.9(3) (2000) pp.344-349. 3. S.C.Sharma, B.M.Girish, R.Kamath, & B.M.Satish, “Fractogrphy, Fluidity, and Tensile Properties of aluminum/Hematite Particle composite”, Jour. of Mat. Engg. & Perf., vol.8(3), 1999, pp.309-314. 4. J Zhang, R J Perz, E J Lavernia, Acta Metall. Mater, vol.42, (1994) pp.335. 5. Joseph E.Bishop and Vikram K.Kinra, “ Analysis of Elastothermodynamic Damping in Particle-reinforced Metal-matrix composites ” Metall. Trans. vol. 26A(1995) pp.2773-2782. 7. I.A.Ibrahim, F.A.Mohamed and E.J. Lavernia, “Particulate reinforced metal matrix composites-A review” Jour. of Mater. Sci., vol. 26(1991) pp. 137. 8. A.Wolfenden and J.M.Wolla in Metal Matrix Composites Mechanisms and Properties” R.K.Everett &R.J.Arsenault, edn. Academic press, Boston, MA., 1991, pp. 287-328. 9. H C Lin, S K Wu, and M T Yeh, Damping Characteristics of TiNI Shpae Memory Alloys, Metallurgical Transactions, vol. 24 A (1993), pp. 2189-2782. 10. E. Carreno-morelli, N. Chawla, R.Schaller, Thermo-mechanical characterization of 2080 Al/SiCp composites by mechanical spectroscopy technique, Journal of Materials Science Letter, (2001), vol.20, pp.163-165. 12. N Srikanath, d. Saravanaranganathan, M.Gupta, L.Lu, and M O Lai, “Modelling and determination of dynamic elastic modulus of magnesium based metal matrix composites” Material Science and Technology, March 2000, vol.16, pp.309-314. 14. J B Shamul, C Hammond, and R F Cochrane, “Comparative characterisation of damping behaviour of aluminium alloy composites produced by different fabrication techniques” , Material Science and Technology. 15. Hsu-Shen Chu, Kuo-Shung Liu, and Jien-Wei Yeh, “Damping behavior of in situ Al-(graphite, Al4C3) composites produced by reciprocating extrusion, Journal Material Research, vol.16, no.5 (2001) pp.1372-1380..
16. Hus-Shen Chu, Kuo-Shung Liu, and Jien-Wei Yeh, Damping behavior of in situ Al-(Graphite, Al4C3) composites produced by reciprocating extrusion “ Journal of Material Research, vol.16, no.5, (2001) pp.1372-1380. 17. G Snoek; Phys. Status Solidi., 1969, vol.32, pp.651-658. 18. K K Chawla, A H Esmaeli, A K Datye and A K vasudevan, scr. Metall. Mater., 1991, 25, 1315-1319. Abstract: Two novel edge-coupler-line composite right/left-handed metamaterial couplers are presented in this paper, a symmetric “impedance coupler” and an asymmetric “phase coupler”, explained by a even/odd mode analysis. These two couplers are based on fundamentally different principles but exhibit the advantage of providing arbitrary coupling levels(up to quasi-complete coupling), where as conventional edge-coupled couplers are typically limited to less than 10-dB maximum coupling, while conserving the broad-bandwidth Benefit of their convention counterparts. The coupler is shown to exhibit broad bandwidth and tight coupling. Keywords: Composite right-/left-handed (CRLH) transmissionlines (TLs), coupled lines, metamaterials. 1. V. Veselago, “The electrodynamics of substances with simultaneously negative values of "and _,” Sov. Phys. Uspekhi, vol. 10, no. 4, pp. 509–514, Jan.–Feb. 1968. 2. R.Mongia, I. bahl,and P.bhartia, RF and microwave coupled-line circuits, artech house, narwood, MA.1999. 3. D. M. Pozar, Microwave Engineering, 2nd ed. New York:Wiley, 1998. 4. C.caloz, A sanada and T.itoh,”A novel composite right/left handed coupled line directional coupler with arbitrary coupling level and broad bandwidth”,IEEE trans. Microwave theory tech. val 52,no.3,pp.980-992,mar.2004. Abstract: Orthogonal frequency division multiple access (OFDMA) has recently attracted vast research attention from both academia and industry and has become part of new standards for broadband wireless communication. In this paper, I addressed the radio resource allocation in the downlink of an OFDMA system and K&H and MPF scheduler algorithm for resource allocation. By comparing the output parameter of both the algorithm get the performance characteristics of OFDMA system. Both scheduling algorithm are based on the quality of service (QoS) requirements of each service flow in terms of BER and data rate. The results show that the algorithms give way fairness among real-time and non real-time service flows as well as guaranteeing their constraint in term of QoS and spectrum efficiency. 2. Ronak Farhadi, Vahid Tabataba Vakili, Shahriar Shirvani Moghaddam,”A Novel Cross-Layer Scheduling Algorithm for OFDMA-Based WiMAX Networks”, Int. J. Communications, Network and System Sciences, 2011, 4, 98-103. 3. X. N. Zhu, J. H. Huo, S. Zhao, Z. M. Zeng and W. Ding, “An Adaptive Resource Allocation Scheme in OFDMA Based Multiservice WiMAX Systems,” Proceedings of 10th International Conferenece on Advanced Communication Technology, Phoenix Park, 17-20 February 2008, Vol. 1, pp. 593-597. 4. T.Ali-Yahiya, A.-L. Beylot and G. Pujolle, “Radio Resource Allocation in Mobile WiMAX Networks Using Service Flows,” Proceedings of IEEE 18th International Symposium on Personal, Indoor and Mobile Radio Com- munications, Athens, 3-7 September 2007, pp. 1-5. 5. M Morelli, C.-C., JayKuo,and M.O. Pun, “Synchronization techniques for orthogonal frequency division multiple access (OFDMA): a tutorial review,” Proceedings of the IEEE Vol. 95, No. 7, July 2007. 6. Lu Yanhui, Wang Chunming, Yin Changchuan, and Yue Guangxin,”Downlink Scheduling and Radio Resource Allocation in Adaptive OFDMA Wireless Communication Systems for User-Individual QoS”, International Journal of Electrical and Electronics Engineering 3:2 2009. Abstract: There is three type of low power technique discussed here for Static random access memory. One is Quiet Bit line architecture in which the voltage of bit line stay as low as possible. To prevent the excessive full-swing charging on the bitline one-side driving scheme for write operation is used and for read precharge free-pulling scheme is used to keep all bit lines at low voltages at all times. Second is Body bias technique which decreases the process variation on the SRAM cell and it can operate at 0.3 and write margin is not degraded. Third is half –swing Pulse-mode techniques in which Half-swing Pulse-mode gate family is used that uses reduced input signal swing without sacrificing performance and to save the power, bit lines are operated from instead of . Keywords: Low power, SRAM, Body biasing, quiet bit line, Half-Swing Pulse-Mode, Low voltage. 1. M.yoshimoto, K. Anami, H.hinohara, T.Yoshihara, H. Takagi, S. nagao, S. Kayano and T.nakano, ""A divided word-line structure in the static RAM and its application to a 64 K full CMOS RAM"," IEEE J. Solid-State Circuits, vol. 18, pp. 479-484, oct. 1983. 2. T.Chappell, B. chappell, S. Schuster, J.Allan, S.Klepner, R.Joshi and R. Franch, "A 2- ns cycle, 3.8-ns access 512 kb CMOS ECL SRAM with fully piplined architecure," IEEE J. od Solid State Circuits, vol. 29, no. November, pp. 1577-1584, 1991. 3. K.Mai, T.Mori, B.Amrutur, R. ho, B.wilburn, M. Horowitz, I. Fukushi, T. Izawa and S. Mitarai, "Low-Power SRAm Design Using Half-Swing Pulse-Mode Technique," IEEE J. of Solid State circuits, vol. 33, no. November, pp. 1659-1671, 1998. 4. S.-P. Cheng and S.-Y. Huang, "A Low-power SRAM Design using Quiet-bitline Architecture," in IEEE International Workshop On memory technology, Design and testing, 2005. Quality Electronic Design, pp. 468-471, 2010. 6. S.Mutoh, T.Douseki, Y.Matsuya, T.Aoki, S.Shigematsu and J.Yamada, "1-V power supply high-speed digital circuit technology with multithreshold-voltage CMOS," IEEE J. of Solid State Circuits, vol. 30, pp. 847-845, 1995. 7. T.Kuroda, T.Fujita, S.Mita, T.Nagamatsu, S.Yoshioka, K.Suzuki, F.Sano, M.Murota, M.Kako, M. kinugawa, M.kakumu and T.Sakurai, "A 0.9V, 150-MHz, 10mW, 2-D discrete cosine transform core processor with variable threshold sceme," IEEE J. of Solid-State Circuits, vol. 31, no. November, pp. 1770-1777, 1996. 8. H. a. K.Roy, "Ultra low-power digital subthreshold logic circuits," IEEE ISLPED, no. 1999, pp. 94-96, 1999. Abstract: A practical pinch torque estimator based on the H∞ filter is proposed for low-cost anti-pinch window control systems. To obtain the acceptable angular velocity measurements, the angular velocity calculation algorithm was proposed with the measurement noise reduction logics in previous method. Apart from the previous works based on the angular velocity or torque estimates for detecting the pinched condition, the proposed pinch detection algorithm makes use of the torque rate information integrated with state flow chart. To do this, the torque rate is augmented to the system model and the torque rate estimator is derived by applying the steady-state H∞ filter recursion to the model. The motivation of this approach comes from the idea that the torque rate is less sensitive to the motor parameter uncertainties. Moreover, the statistics of modeling errors and angular velocity measurement noises are actually unknown. Hence, the proposed scheme minimizes the anti-pinch window control system's exposure to the false alarm. To detect the pinched condition, a systematic way to determine the threshold level of the torque rate estimates is also suggested via the deterministic estimation error analysis. Experimental results certify the pinch detection performance of the proposed algorithm and its robustness against the motor parameter uncertainties. Keywords: Torque Estimation; Pinch Detection; Anti-PinchWindow Control Systems; steady-state H∞ Filter; State flow chart. 2. Robert P. Gerbetz, "Method of Compensating for Abrupt Load Changes in an Anti-Pinch Window Control System", US Patent, US2002/0190680 A1, 2002..
3. X.de Frutos,"Anti-Pinch Window Control Drive Circuit", US Patent, US2003/0137265 Al, 2003. 4. G. S. Buja, R. Menis and M. I. Valla, "Disturbance Torque Estimation in a Sensorless DC Drive", IEEE Trans. Industrial Electronics, vol. 42, pp. 351-357, 1995. 5. N. Syed-Ahmad and F M. Wells, "Torque Estimation and Compensation for Speed Control of a DC Motor using an Adaptive Approach", 36th Midwest Symposium on Circuits and Systems, Detroit, MI, pp. 68-71, 1993. 8. W. S. Ra, S. H. Jin and J. B. Park, "Set-Valued Estimation Approach to Recursive Robust H,, Filtering", IEE Proc., Control Theory Appl., vol. 151, pp. 773-782, 2004. 9. L. Salvatore and S. Stasi, "LKF Based Robust Control of Electrical Servodrives", IEE Proceedings of Electric Power Applications, vol. 142, pp. 161-168, 1995. Abstract: This paper presents a Internal Model Control(IMC) tuned PID controller method for the DC motor for robust operation.IMC is a process model approach to design the PID controller parameter to obtain the optimal setpoint tracking and load disturbance rejection.This method of control which is based on the accurate model of the process,leads to the design of a control system that is stable and robust.The results of the IMC tuning method when compared with the Ziegler Nichols (ZN) closed loop tuning provides a commendable improvement in the overshoot,rise time and settling time of the system.Simulated results in LabVIEW and Matlab using the PID and IMC are presented and also the same has been implemented and tested for a 12volt DC motor. 1. Wang, J. B, Control of Electric Machinery. Gau Lih Book co., Ltd, Taipei Taiwan, 2001. 2. G. Haung and S. Lee, “PC based PID speed control in DC motor,” IEEE Conf. SALIP-2008, pp. 400-408, 2008. 3. P. Kundur, Power system stability and control, McGraw-Hill, 1994. 4. D. E. Seborg, T. F. Edgar, and D. A. Mellichamp, Process dynamics and control, John Wiley & Sons, Second edition, New York, 2004. 5. J. G. Ziegler and N. B. Nichols, “Optimum settings for automatic controller”, Transactions ASME, vol. 64, pp. 759-766, 1942. 6. O. Montiel, R. Sepúlveda, P. Melin and O. Castillo, “ Performance of a simple tuned Fuzzy controller and a PID controller on a DC motor,” Procee. of IEEE (FOCI 2007), pp. 531-538, 2007. 7. I. L. Chien, and Fruehauf, “Consider IMC tuning to improve controller performance”, Chemical Engineering Program, vol. 86, pp. 33-38, 1990. 8. O. Aidan and Dwyer, Handbook of PI and PID controller tuning rule, Imperial College Press, London, 2003. 9. I. G. Horn, J. R. Arulandu, J. G. Christopher, J.G. VanAntwerp, and R. D. Braatz, “Improved filter design in internal model control” Industrial Engineering Chemical Research, vol. 35, pp. 33-37, 1996. 10. Y. Lee, S. Park, and M. Lee, “Consider the generalized IMC-PID method for PID controller tuning of time-delay processes” ,Hydrocarbon Processing, 2006, pp. 87-91. 11. Y. Lee, S. Park, M. Lee, and C. Brosilow, “PID controller tuning for desired closed-loop responses for SISO systems” AICHE Journal, vol 44, pp. 106-115, 1998. 12. M. Morari and E.Zafiriou, Robust Process Control, Prentice Hall, Englewood Cliffs, NJ, 1989. 13. D. E. Rivera, M. Morari, and S. Skogestad, “Internal model control, 4. PID controller design” ,Industrial Engineering Proceeding Design Deu. vol. 25, pp. 252-258, 1986. Abstract: This paper presents a knowledge-based and experiment-based method for measuring the semantic similarity of texts. While there is a large body of previous work focused on finding the semantic similarity of concepts and words, the application of these word oriented methods to text similarity has not been yet explored. Five different proposed measures of similarity or semantic distance in WordNet were experimentally compared by examining their performance in a real-word spelling correction system. Keywords: Dictionary-based, Information-based, Lexical-based, WordNet. 1. Eneko Agirre and German Rigau. 1996. Word sense disambiguation using conceptual density. In Proceedings of the 16th International Conference on Computational Linguistics, pp. 16–22, Copenhagen. 2. Alan Agresti and Barbara Finlay. 1997. Statistical Methods for the Social Sciences (third edition). Prentice-Hall. 4. CSRG-390, Department of Computer Science, University of Toronto, August 1999. 5. Alexander Budanitsky and Graeme Hirst. In preparation. Semantic relatedness between lexicalized concepts. 6. Christiane Fellbaum, editor. 1998. Word Net: An Electronic Lexical Database. The MIT Press. 7. Victoria A. Fromkin. 1980. Errors in linguistic performance: Slips of the tongue, ear, pen, and hand. Academic Press. 8. M.A.K. Halliday and Ruqaiya Hasan. 1976. Cohesion in English. Longman.9. Graeme Hirst and David St-Onge. 1998. Lexical chains as representations of context for the detection and correction of malapropisms. In Fellbaum 1998, pp. 305–332. 10. Michael Hoey. 1991. Patterns of Lexis in Text. Oxford University Press. 11. Jay J. Jiang and David W. Conrath. 1997. Semantic similarity based on corpus statistics and lexical taxonomy. In Proceedings of International Conference on Research in Computational Linguistics, Taiwan. 12. Claudia Leacock and Martin Chodorow. 1998. Combining local context and WordNet similarity for word sense identification. In Fellbaum 1998, pp. 265–283. 13. Dekang Lin. 1998. An information-theoretic definition of similarity. In Proceedings of the 15th International Conference on Machine Learning, Madison, WI.14. George A. Miller and Walter G. Charles. 1991. Contextual correlates of semantic similarity. Language and Cognitive Processes, 6(1): 1–28. 15. Jane Morris and Graeme Hirst. 1991. Lexical cohesion computed by thesaural relations as an indicator of the structure of text. Computational Linguistics, 17(1): 21–48. 16. Roy Rada, Hafedh Mili, Ellen Bicknell, and Maria Blettner. 1989. Development and application of a metric on semantic nets. IEEE Transactions on Systems,Man, and Cybernetics, 19(1): 17–30. 17. Philip Resnik. 1995. Using information content to evaluate semantic similarity. In Proceedings of the 14th International Joint Conference on Artificial Intelligence, pages 448–453, Montreal. 18. Herbert Rubenstein and John B. Goodenough. 1965.Contextual correlates of synonymy.Communications of the ACM, 8(10): 627–633. 19. Michael Sussna. 1993. Word sense disambiguation for free-text indexing using a massive semantic network. In Proceedings of the Second International Conference on Information and Knowledge Management (CIKM-93), pages 67–74, Arlington, VA. Agresti, Alan and Barbara Finlay. 1997. Statistical Methods for the Social Sciences. Prentice Hall, Upper Saddle River, NJ, 3rd edition. 20. Banerjee, Satanjeev and Ted Pedersen. 2003. Extended gloss overlaps as a measure of semantic relatedness. In Proceedings of the Eighteenth International Joint Conference on Artificial Intelligence, Acapulco, Mexico, pages 805–810, August. 21. Barsalou, LawrenceW. 1983. Ad hoc categories. Memory and Cognition, 11:211–227. 22. Barsalou, LawrenceW. 1989. Intra-concept similarity and its implications for interconcept similarity. In Stella Vosniadou and Andrew Ortony, editors, Similarity and Analogical Reasoning. Cambridge University Press, pages 76–121. Keywords: Cloud, data Transmission, Secure framework, Security. 1. Lombardi F, Di Pietro R. Secure virtualization for cloud computing. Journal of Network Computer Applications (2010), doi:10.1016/j.jnca.2010.06.008. 2. Subashini S, Kavitha V., “A survey on security issues in service delivery models of cloud computing,” Journal of Network and Computer Applications (2011) vol. 34 Issue 1, January 2011 pp. 1-11. 3. Sudha.M, Bandaru Rama Krishna rao, M.Monica, “A Comprehensive approach to ensure secure data communication in cloud environment” International Jornal Of computer Applications, vol. 12. Issue 8, pp. 19-23. 4. Balachander R.K, Ramakrishna P, A. Rakshit, “Cloud Security Issues, IEEE International Conference on Services Computing (2010),” pp. 517-520. 5. Cong Wang, Qian Wang, Kui Ren, and Wenjing Lou, “Ensuring Data Storage Security in Cloud Computing” proceeding of International workshop on Quality of service 2009”, pp.1-9. 6. Gary Anthes, “Security in the cloud,” In ACM Communications (2010), vol.53, Issue11, pp. 16-18. 7. Kresimir Popovic, Željko Hocenski, “Cloud computing security issues and challenges,” MIPRO 2010, pp. 344-349.
International Conference on Telecommunications, May 2007, pp. 272-277. 9. Luis M. Vaquero, Luis Rodero-Merino, Juan Caceres1, Maik Lindner, “A Break in Clouds: Towards a cloud Definition,” ACM SIGCOMM Computer Communication Review, vol. 39, Number 1, January 2009, pp. 50-55. 10. Patrick McDaniel, Sean W. Smith, “Outlook: Cloudy with a chance of security challenges and improvements,” IEEE Computer and reliability societies (2010), pp. 77-80. 11. Sameera Abdulrahman Almulla, Chan Yeob Yeun, “Cloud Computing Security Management,” Engineering systems management and its applications (2010), pp. 1-7. 12. Steve Mansfield-Devine, “Danger in Clouds”, Network Security (2008), 12, pp. 9-11. 13. Anthony T. Velte, Toby J.Velte, Robert Elsenpeter, Cloud Computing: A Practical Approach, Tata Mc GrawHill 2010. 14. Siva Rama Krishnan Somayaji, Ch.A.S Murty, “Securing IP Storage: A case study,” International Journal of Next Generation Network (2010), vol. 2, Issue 1. Pp. 19-28. Abstract: As we know that www is allowing peoples to share the huge information globally from the big database repositories. The amount of information grows billions of databases. Hence to search particular information from these huge databases we need the specialized mechanism which helps to retrieve that information efficiently. Now days various types of search engines are available which makes information retrieving is difficult. But to provide the better solution to this problem, semantic web search engines are playing vital role. Basically main aim of this kind of search engines is to providing the required information is small time with maximum accuracy. But the problem with semantic search engines is that those are vulnerable while answering the intelligent queries. These kinds of search engines don’t have much efficiency as per expectations by end users, as most of time they are providing the inaccurate information’s. Thus in this paper we are presenting the new approach for semantic search engines which will answer the intelligent queries also more efficiently and accurately. With the keywords based searches they usually provide results from blogs or other discussion boards. The user cannot have a satisfaction with these results due to lack of trusts on blogs etc. To get the trusted results search engines require searching for pages that maintain such information at some place. Here propose the intelligent semantic web based search engine. We use the power of xml meta-tags deployed on the web page to search the queried information. The xml page will be consisted of built-in and user defined tags. The metadata information of the pages is extracted from this xml into rdf. Our practical results showing that proposed approach taking very less time to answer the queries while providing more accurate information. Keywords: Information retrieval, Intelligent Search, Search Engine, Semantic web, XML, RDF. 1. Berners-Lee, T., Hendler, J. and Lassila, O. “The Semantic Web”, Scientific American, May 2001. 2. Deborah L. McGuinness. “Ontologies Come of Age”. In Dieter Fensel, J im Hendler, Henry Lieberman, and Wolfgang Wahlster, editors. Spinning the Semantic Web: Bringing the World Wide Web to Its Full Potential. MIT Press, 2002. 3. Ramprakash et al “Role of Search Engines in Intelligent Information Retrieval on Web”, Proceedings of the 2nd National Conference; INDIACom-2008. 4. R. Bekkerman and A. McCallum, “Disambiguating Web Appearances of People in a Social Network,” Proc. Int’l World Wide Web Conf. (WWW ’05), pp. 463-470, 2005. 5. G. Salton and M. McGill, Introduction to Modern Information Retreival. McGraw-Hill Inc., 1986. 6. M. Mitra, A. Singhal, and C. Buckley, “Improving Automatic Query Expansion,” Proc. SIGIR ’98, pp. 206-214, 1998. 7. P. Cimano, S. Handschuh, and S. Staab, “Towards the Self-Annotating Web,” Proc. Int’l World Wide Web Conf. (WWW ’04),2004. 8. G. Antoniou and F. van Harmelen, A Semantic Web Primer, (Cooperative Information Systems). 2nd ed. 2008: The MIT Press. 9. F. Manola, E. Miller, and B. McBride, RDF primer. W3C recommendation, Vol. 10, No., 2004. 13. “SWISE: Semantic Web based Intelligent Search Engine” Faizan Shaikh, Usman A. Siddiqui, Iram Shahzadi Department of Computer Science, National University of Computer & Emerging Sciences Karachi, Pakistan,2010,IEEE. 14. “Automatic Discovery of Personal Name Aliases from the Web”, Danushka Bollegala, Yutaka Matsuo, and Mitsuru Ishizuka, Member, IEEE, June 2011. 15. Dan Meng, Xu Huang “An Interactive Intelligent Search Engine Model Research Based on User Information Preference”, 9th International Conference on Computer Science and Informatics, 2006 Proceedings, ISBN 978-90-78677-01-7. 16. Xiajiong Shen Yan Xu Junyang Yu Ke Zhang “Intelligent Search Engine Based on Formal Concept Analysis” IEEE International Conference on Granular Computing, pp 669, 2-4 Nov, 2007. Abstract: SOA (Service Oriented Architecture) is an architectural style which is about orchestration of services whereas cloud computing is an autonomic computing which delivers computing as a service rather than product. People may consider SOA and Cloud as competitors but they complement each other. Cloud computing embraces the notion of “everything as a service” and covers three categories of service: infrastructure, platform and software as a service. SOA’s approach of managing and governing processes is well-defined and has a potential for being applied to everything as a service in cloud. Since SOA is a relatively mature field, than Cloud, there is a good scope for cloud computing to judiciously inherit from best practice in SOA governance. Keywords: agility, governance, scalability, services. 2. http://csrc.nist.gov/publications/nistpubs/800-145/SP800-145.pdf : National Institute of Science and Technology. Retrieved 24 July 2011. 4. Voorsluys, William; Broberg, James; Buyya, Rajkumar (February 2011). "Introduction to Cloud Computing". In R. Buyya, J. Broberg, A.Goscinski. Cloud Computing: Principles and Paradigms. New York, USA: Wiley Press. pp. 1-44.ISBN 978-0470887998. Abstract: The use of non linear loads is increasing day by day. This increasing use of non linear loads has created more distortions in current and voltage waveforms. This increased power quality disturbances has lead to various optimizations techniques and filter designs. Harmonic distortions are the major cause for power quality problems. For this analyzing the harmonics present in non linear loads is significant. Here a survey is made to show details of harmonics present in various non linear loads. Keywords: Non linear loads, Harmonics, Power quality. 1. J. Arillaga, et al, “Power System Harmonics” ISBN 0-471-90640-9. 2. Copyright Hawaiian Electric Company, Inc. 2004 “A Harmonics primer”. 3. IEEE Std 519-1992, IEEE Recommended Practices and Requirements for Harmonic Control in Electrical Power Systems. 5. J.L.Hernandez , MA. Castro, J. Carpio and A. Colmenar, “Harmonics in power systems” in International Conference on Renewable Energies and Power Quality (ICREPQ’09). 6. EC & M magazine, edition 2012. 7. Square D “Product data bulletin” Power System Harmonics Causes and Effects of Variable Frequency Drives Relative to the IEEE 519-1992 Standard. Bulletin No. 8803PD9402 August, 1994 Raleigh, NC, U.S.A.
8. Allen-Bradley “Power system harmonics- A Reference Guide to Causes, Effects and Corrective Measures” in Rock well automation, A Reference Guide to Causes, Effects and Corrective Measures. 9. Lorenzo Cividino-Power products development manager “Power Factor, Harmonic Distortion Causes, Effects and Considerations”, Telecommunications Energy Conference, 1992.INTELEC '92.14th International , 1992 , Page(s): 506 – 513. 10. Joseph.S, Sunbjak.JR,John s.Mcquililkin-Members IEEE,” Harmonics - Causes, Effects, Measurements, and Analysis: An Update” IEEE transactions on applications, vol. 26. NO.6 November/December 1990. 11. M.I.Abu Bakar”Assessments for the Impact of Harmonic Current Distortion of Non Linear Load In Power System Harmonics”, Transmission and Distribution Conference and Exposition: Latin America, 2008 IEEE/PES, 2008 , Page(s): 1 - 6. 12. David Kreiss “Increasing levels of non linear loads adds to harmonic woes” Vol. 1 No. 2 Summer 1995 A Quarterly publication of Dranetz Technologies,INC. Powercet corporation and Kreiss-Johnson Technologies. 18. S.Kim,P.Enjeti,D.Rendusara,I.J. Pitel “A new method to improve THD and reduce harmonics generated by a three phase diode rectifier type utility interface”, Industry Applications Society Annual Meeting, 1994., Conference Record of the 1994 IEEE, 1994 , Page(s): 1071 - 1077 vol.2. 19. Sangsun Kim, Member, IEEE, Maja Harfman Todorovic, Student Member, IEEE, and Prasad N. Enjeti, Fellow, IEEE” Three-Phase Active Harmonic Rectifier (AHR) to Improve Utility Input Current THD in Telecommunication Power Distribution System” IEEE transactions on industry applications , vol .39 , No5,September/October 2003. 20. Hussain S. Athab, IEEE Member, P. K. Shadhu Khan, senior IEEE Member” A Cost Effective Method of Reducing Total Harmonic Distortion (THD) in Single-Phase Boost Rectifier”,Power Electronics and Drive Systems, 2007. PEDS'07. 7th International Conference, Page(s): 669 – 674, 2007. 22. V. Cuk, J.F.G. Cobben, W.L. Kling, and R.B. Timens” An Analysis of Diversity Factors applied to Harmonic Emission Limits for Energy Saving Lamps”, Harmonics and Quality of Power (ICHQP), 2010 14th International Conference, 2010, Pages:1-6. 23. ] M.C. Falvo, Member, IEEE, U. Grasselli, Member, IEEE, R. Lamedica, Member, IEEE, and A.Prudenzi, Member, IEEE” Harmonics monitoring survey on office LV Appliances” 2000. 24. ] H. Sharma, Member, IEEE, W. G. Sunderman, Member, IEEE, and A. Gaikwad, Member, IEEE Harmonic Impacts of Widespread Use of CFL Lamps on Distribution Systems”1991. 25. Khodijah Mohamed, Hussain Shareef , Azah Mohamed, “Analysis of Harmonic Emmision from Dimmable Compact Fluorescent Lamps” 2011 International Conference on Electrical Engineering and Informatics 17-19 July 2011, Bandung, Indonesia. 26. I. F. Gonos, M. B. Kostic, M. B. Kostic,” Harmonic Distortion in Electric Power Systems Introduced by Compact Fluorescent Lamps”,Electric Power Engineering, 1999. PowerTech Budapest 99.International Conference 1999. 27. Gluskin, E Emanuel Gluskin,Department of Electrical and Computer Engineerhg Ben-Gurion University of the Negev”High harmonic currents in flouescent lamp circuits”, Industry Applications Society Annual Meeting, 1988., Conference Record of the 1988 IEEE , 1988 , Page(s): 1852 - 1854 vol. 28. Ashok D. Pateliya, Manish N. Sinha”Simulation of Harmonics Producing Loads in Power System Network” in National Conference on Recent Trends in Engineering & Technology. 13-14 May 2011. 29. J. Sousa, M.T. Correia de Barros,M. Covas ,A.Simões” Harmonics and Flicker Analysis in Arc Furnace Power Systems”. 30. Rahmat Allah Hooshmand* and Mahdi Torabian Esfahani”Optimal Design of TCR/FC in Electric Arc Furnaces for Power Quality Improvement in Power Systems” in Leonardo Electronic Journal of Practices and Technologies,ISSN 1583-1078 Issue 15, July-December 2009 p. 31-50. 31. Dr. W. Z. Gandhare and D. D. Lulekar, Govt. College of Engineering, Aurangabad (Maharashtra), India” Analyzing Electric Power Quality in Arc Furnaces”, International Conference of Renewable Energy and Power Quality, March 2007. 32. Wang Yongning, Li Heming, Xu Boqiang, Member, IEEE, Sun Lilhg, Student Member, IEEE” in2004 International Conference on Power System Technology - Powercon 2004 Singapore, 21-24 November 2004. 33. N. Browne, Member, IEEE, S. Perera, Member, IEEE, P.F Ribeiro, Fellow, IEEE.”Harmonic Levels and Television Events”,Power Engineering Society General Meeting, 2007. IEEE, 2007, Page(s): 1 – 6. 2002, Page(s): 1090 - 1094 vol.2 Cited by: 5. 35. T. Inouye, D.Eng., and T. Tarui, D.Eng.” Detailed analysis of 3rd-harmonic tuning of television horizontal-deflection circuit”, Electrical Engineers, Proceedings of the Institution of Vol: 118, Issue:6, 1971, Pages: 756-757. 36. E.F.Fuchs, D.J.Joesler, K.P.Kovacs” Sensitivity of electrical appliances to harmonics and fractional harmonics of the power system's voltage.part ii: television sets, induction watthour meters and universal machines” in IEEE transactions on power delivery, vol. pwrd-2, no. 2, April 1987. 37. Rana A. Jabbar, Muhammad Junaid, M. Ali Masood and Khalid Saeed Akhtar Rachna College of Engineering & Technology, Gujranwala, Pakistan” Impacts of Harmonics caused by Personal Computers on Distribution Transformers,Electrical Engineering, 2009. ICEE '09. Third International Conference on 2009, pages 1-6. 38. V.Tipsuwanporn, Member, IEEE, W.Thueksathit, and W.Sawaengsinkasikit”Harmonics, reduction system using active filter based on computer unit” in 2005 IEEE/PES transmission and distribution conference and exhibition: Asia, Pacific Dalian, China. 39. Philip J. Moore, Senior Member, IEEE, and Iliana E. Portugués” The Influence of Personal Computer Processing Modes on Line Current Harmonics” in IEEE transactions on power delivery, vol. 18, no. 4, october 2003. 40. A. Mansoor, W. M. Grady, P. T. Staats, R. S. Thallam, M. T. Doyle, M. J. Samotyj “Predicting the Net Harmonic Currents Produced by Large Numbers of Distributed Single-phase Computer Loads” in IEEE Transactions on Power Delivery, Vol. 10, No. 4, October 1995. 41. H.O.Aintablian and H.W.Hil1, Jr” Harmonic Currents Generated by Personal Computers and their Effects on the Distribution System Neutral Current”, Industry Applications Society Annual Meeting, 1993, Conference Record IEEE, oct 1993, 1483 - 1489 vol.2. S.Gunasekaran, H.Abdulrauf, M.A.Harish, S.Premkumar, T.V.PriyaJ.Priyadarshini. Abstract: This paper deals with the design of a single phase six switch AC/AC converter for UPS application. Reduced switch-count topology is used here. This converter is designed for calculating the optimal operating point of the converter based on the design specifications in order to maximize dc bus voltage utilization. It is designed in such a way that output voltage has less THD with unity power factor. This also enhances battery charging applications and also increases the input power. There by the proposed converter has Less THD of input current and output voltage and unity power factor. The strategies have been confirmed by both simulation and experimental results obtained from the converter which used for UPS applications. Keywords: UPS, AC/AC converter, PWM control, Switch reduction,THD. 1. A. Fatemi1, M. Azizi, M. Shahparasti, M. Mohamadian, A. Yazdian” A Novel Single-Phase Six-Switch AC/AC Converter for UPS Applications” in 2011 2nd Power Electronics, Drive Systems and Technologies Conference. 2. Chia-Chou Yehand MadhavD.Manjrekar,“A Reconfigurable Uninterruptible Power Supply System for Multiple Power Quality Applications” in IEEE transactions on power electronics, vol. 22, No. 4, July 2007. 3. Congwei Liu, BinWu, Fellow, Navid R. Zargari,Dewei (David) Xu, and Jiacheng Wang,” A Novel Three-Phase Three-Leg AC/AC ConverterUsing Nine IGBTs” in IEEE transactions on power electronics, vol. 24, no. 5, May 2009. 6. FengGao, Lei Zhang, Ding Li, Poh Chiang Loh, ,Yi Tang, and HouleiGao, Member, IEEE” Optimal Pulsewidth Modulation ofNine-Switch Converter” in IEEE transactions on power electronics, vol. 25, no. 9, September 2010”. Abstract: The application of deregulation in the electric power sector and as a result of that, a new identity appeared in the electric power system map known as “distributed generation” (DG). Consistent with new technology, the electric power generation trend uses disbursed generator sized from kW to MW at load sits in preference to using traditional centralized generation units sized from 100MW to GW and situated far from the loads where the natural recourses are accessible. This paper introduces an appraisal of this revolutionary approach of DGs, which will change the way of electric power systems operate along with their types and operating technologies. Some important definitions of DGs and their operational constraints are discussed to help in understanding the concepts and regulations related to DGs. Furthermore, we will review the operational and economical benefits of implementing DGs in the distribution network. Most DG literatures are based on studying the definitions, constructions or benefits of DGs separately. Conversely, in our paper we aim to give a comprehensive review by adding new classifications to relate the DG types, technologies and applications to each other. 1. J.L. Del Monaco, The role of distributed generation in the critical electric power infrastructure, in: Proceedings of the Power Engineering Society Winter Meeting IEEE, vol. 1, 2001, 144–145. 2. A. Thomas, A. Göran, S. Lennart, Distributed generation: a definition, Electric Power Syst. Res. 57 (3) (2001) 195–204. 3. P.P. Barker, R.W. De Mello, Determining the impact of distributed generation on power systems. I. Radial distribution systems, in: Proceedings of the Power Engineering Society Summer Meeting IEEE, vol. 3, 2000, pp. 1645–1656. 4. S. Gilbert, The nations largest fuel cell project, a 1MW fuel cell power plant deployed as a distributed generation resource, Anchorage, Alaska project dedication 9 August 2000, in: Proceedings of the Rural Electric Power Conference, 2001, pp. A4/1–A4/8. 5. M. Suter, Active filter for a microturbine, in: Proceedings of the Telecommunications Energy Conference, INTELEC 2001, Twenty-Third International, 2001, pp. 162–165. 6. B. Lasseter, Microgrids [distributed power generation], in: Proceedings of the Power Engineering Society Winter Meeting IEEE, vol. 1, 2001, pp. 146–149. 7. Willam, E. Liss, Natural gas power systems for the distributed generation market, in: Proceedings of the Power-Gen International’99 Conference, New Orleans, LA, 1999. 8. M.W. Ellis, M.R. Von Spakovsky, D.J. Nelson, Fuel cell systems: efficient, flexible energy conversion for the 21st century, in: Proceedings of the IEEE, vol. 89, issue 12, December 2001, pp. 1808– 1818. 9. M. Farooque, H.C. Maru, Fuel cells—the clean and efficient power generators, in: Proceedings of the IEEE, vol. 89, issue 12, 2001, pp. 1819–1829. 10. Wm.L. Hughes, Comments on the hydrogen fuel cell as a competitive energy source, in: Proceedings of the Power Engineering Society Summer Meeting IEEE, vol. 1, 2001, 726–730. 11. S. Rahman, Fuel gm as a distributed generation technology, in: Proceedings of the Power Engineering Society Summer Meeting IEEE, vol. 1, 2001, pp. 551–552. 12. D. Xu, A.A. Girgis, Optimal load shedding strategy in power systems with distributed generation, in: Proceedings of the Power Engineering Society Winter Meeting IEEE, vol. 2, 2001, pp. 788–793. 13. F.L. Alvarado, Locational aspects of distributed generation, in: Proceedings of the Power Engineering Society Winter Meeting IEEE, vol. 1, 2001, p. 140. 14. M. Ilic, The information technology (IT) role in future energy generation, in: Proceedings of the Power Engineering Society Winter Meeting IEEE, vol. 1, 2001, pp. 196–198. 15. L. Coles, R.W. Beck, Distributed generation can provide an appropriate customer price response to help fix wholesale price volatility, in: Proceedings of the Power Engineering Society Winter Meeting IEEE, vol. 1, 2001, pp. 141–143. 17. N. Hadjsaid, J.-F. Canard, F. Dumas, Dispersed generation impact on distribution networks, IEEE Computer Applications in Power, 12 (2) (1999). Jani Nidhi R, S.K. Hadia, Jani Preetida V.
Abstract: There have been significant advancements towards realizations of cognitive radios, as well as towards the development of the various enabling technologies needed for the diverse potential application scenarios of CRs. Nevertheless, we have also seen that a lot of further research and development work is definitely needed before general cognitive wireless networks can be realized. Cognitive radios (CRs) can exploit vacancies in licensed frequency bands to self-organize in opportunistic spectrum networks. Such networks, henceforth referred to as Cognitive Radio Networks (CRNs), operate over a dynamic bandwidth in both time and space. This inherently leads to the partition of the network into clusters depending on the spatial variation of the Primary Radio Network (PRN) activity. Many of the solutions mentioned earlier have been designed only for limited-size CRN, for example due to the presence of centralized controllers. However, we would ideally like to be able to extend such a paradigm to virtually infinite CRNs. In this work, Weighted Clustering Algorithm designed for basic cluster formation for CRNs is proposed, which explicitly can take into account the spatial variations of spectrum opportunities in future. Keywords: Cognitive Radio, Cooperative sensing, Weighted Clustering Algorithm. .
1. J. Mitola, “Software radios: Survey, critical evaluation and future directions,” IEEE Aerosp. Electron. Syst. Mag., vol. 8, pp. 25–31, Apr. 1993. 3. D. Cabric, S. M. Mishra, and R. Brodersen, “Implementation Issues in Spectrum Sensing for Cognitive Radios,” in Proc. 38th Asilomar Conf. Signals, Systems and Computers, Pacific Grove,CA, pp. 772-776, November 2004. Abstract: With the 21st century if the Stepper Motor and other motors operates remotely by the mobile phone it is obviously advantageous for the Industry. A Wireless remote reduces the difficulty for controlling the Stepper motor. But remote still offers limitations because it is limited in a particular range. If it is interfaced with the mobile phone as a remote control then the project will get higher usability and scope. Previously Stepper Motor movements were controlled through various types of devices such as microprocessor, microcontroller and PLC (programmable logic device) but all these have certain limitations that’s why in this research, another hardware solution is incorporated. Complex programmable logic device (CPLD) is suitable for fast implementation and quick hardware verification. CPLD based systems are flexible and can be reconfigured unlimited number of times. In this research Hardware Description Languages (VHDL) is used. Keywords: Stepper Motor, CPLD, Mobile phone, VHDL. 1. Zoonubiya Ali and R.V. Kshirsagar “Development of a CPLD based novel open loop Stepper motor controller for high performances using VHDL’’, 978-1-4244-7652-7/10/$26.00©2010 IEEE. 2. Zoonubiya Ali and R.V.Kshirsagar “An open loop stepper motor controller based on CPLD” International Journal of Electronic Engineering Research ISSN 0975 - 6450 Volume 2 Number 2 (2010) pp. 219–228. 8. Ming-Fa Tsai and Chien-Pang Chen “Design of a Quadrature Decoder/Counter Interface IC for Motor Control Using CPLD” 0-7803-7474-6/02/$17.00 82002 IEEE. Abstract: This paper deals with the comparative study of speed control of 8/6 Switched Reluctance Motor using PI and Fuzzy Logic Controller. Nowadays the Switched Reluctance Motor has gained more and more attraction in industries. The speed of the Switched Reluctance Motor is controlled using both PI and Fuzzy Logic speed Controller in MATLAB/Simulink environment. The simulation result shows that Fuzzy Logic Controller is superior to PI controller. Keywords: Switched Reluctance Motor (SRM), Fuzzy Logic Controller (FLC), PI Controller, and Speed Control . 1. S. Vijayan, S. Paramasivam, R. Arumugam, S. S. Dash, K. J. Poornaselvan, "A Practical approach to the Design and Implementation of Speed Controller for Switched Reluctance Motor Drive using Fuzzy Logic Controller", Journal of Electrical Engineering, vol.58, No.1, 2007, pp. 39-46. 2. T. J. E. Miller, "Switched Reluctance Motors and their Control", Magna Physics Publishing and Clarendon Press-Oxford, 1993. 3. R. Krishnan, "Switched Reluctance Motor Drives: Modelling, Simulation, Analysis, Design and Applications”, CRC Press, 2001. 4. 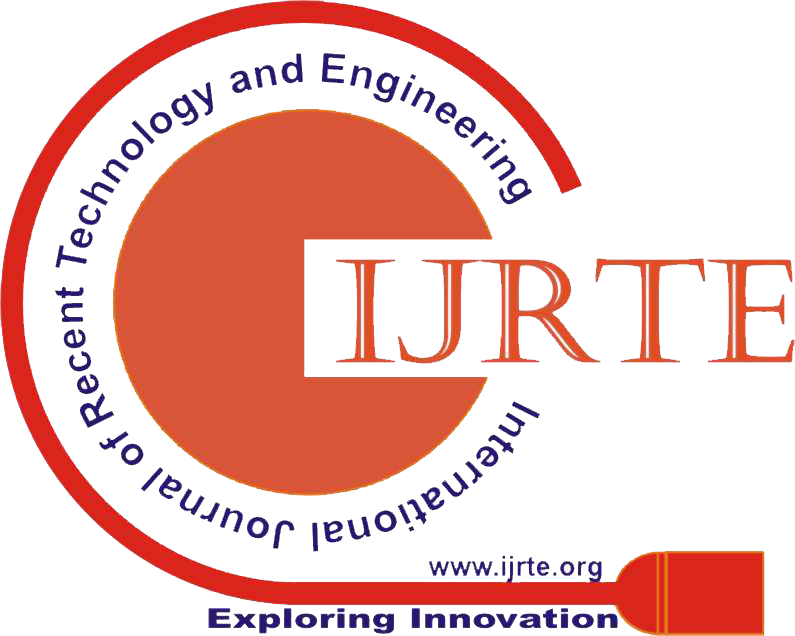 Vikas S. Wadnerkar, Dr.G.TulasiRam Das, Dr.A.D.Rajkumar, “Performance Analysis Of Switched Reluctance Motor; Design,Modeling And Simulation Of 8/6 Switched Reluctance Motor” Journal of Therotical And Applied Information Technology, 2005-2008. 6. Gamal M. Hashem Hany, M. HasanienSpeed , “Control of Switched Reluctance Motor Based on Fuzzy Logic Controller”, Proceedings of the 14th International Middle East Power Systems Conference (MEPCON’10), Cairo University, Egypt, December 19-, 2010, Paper ID 166. Abstract: Block Truncation Coding (BTC) is a simple and fast lossy image compression technique for digitized gray scale images. In this paper, a novel idea for further reducing the bit rate is introduced. The BTC and its two other variants, one being the Absolute Moment Block Truncation Coding (AMBTC) are discussed and the proposed idea is incorporated in all the three methods. A bitrate of 2 bpp is achieved in the existing techniques. With the proposed method, a further reduction of .25 bpp is achieved. The results of the proposed method are compared with that of the normal Block Truncation Coding methods. The proposed idea works better in terms of both the PSNR and the bpp. Keywords: Block Truncation Coding, PSNR, bit-rate, compression, storage, transmission. 1. E.J.Delp and 0.R.Mitchell, “Image Compression Using Block Truncation Coding,” IEEE Transactions on Communication, Vol. COM-27, pp. 1335-1342, Sept. 1979. 2. A.M.Eskicioglu and P.S.Fisher, “Image Quality Measures And Their Performance”, IEEE Transactiona on Communications, Vol.34, pp. 2959-2965, Dec. 1995. 3. Doaa Mohammed, Fatma Abou-Chadi, ”Image Compression Using Block Truncation Coding”, Journal of Selected Areas in Telecommunications (JSAT), Feb. 2011. 4. N.M. Nasrabadi, R.B.King, “Image Coding Using Vector Quantization: A Review”, IEEE Transactions on Communications COM-36 (1998), pp. 957-971. 5. M.Rabbani and R.Joshi, “An Overview Of The JPEG 2000 Still Image Compression Standard”, signal process. Image commun. 17, pp. 3-48, 2002. 6. G.Arce and N.C.Jr.Gallagher, “BTC Image Coding Using Median Filter Roots”, IEEE Transactions On Communication, Vol.31, No.6, pp. 784-793, 1983. 7. Yung-Chen Wu, “Block Truncation Image Bitplane Coding”, SPOIE, Optical Engineering, Vol. 41, No. 10, pp. 2476-2478, 2002. 8. Yu-Chen Hu, “Predictive Moment Preserving Block Truncation Coding For Gray Level Image Compression”, Journal of Electronic Imaging, vol. 13, No.4, pp. 871-877, 2004. 9. Pasi Franti, Olli Nevalainen and Timo Kaukoranta, “Compression Of Digital Images By Block Truncation Coding: A Survey”, The Computer Journal, Vol. 37, No. 4, 1994. 10. Lucas Hui, “An Adaptive Block Truncation Coding Algorithm For Image Compression”, IEEE Trans. on ASSP, Vol. 4, pp. 2233-2236, Aril 1990. 11. O.R.Mitchell and E.J.Delp, “Multilevel Graphics Representation Using Block Truncation Coding”, IEEE Transactions on Communications, 868-873. Abstract: Security concerns are on the rise in all areas such as banks, governmental applications, healthcare industry, military organization, educational institutions. Government organizations are setting standards, passing laws and forcing organizations and agencies to comply with these standards with non-compliance being met with wide-ranging consequences. There are several issues when it comes to security concerns in these numerous and varying industries with one common weak link being passwords. Most systems today rely on static passwords to verify the user’s identity. However, such passwords come with major management security concerns. Users tend to use easy-to-guess passwords, use the same password in multiple accounts, write the passwords or store them on their machines. Further more, hackers have the option of using many techniques to steal passwords such as shoulder surfing, snooping, sniffing, guessing. Several ‘proper’ strategies for using passwords have been proposed. Some of which are very difficult to use and others might not meet the company’s security concerns. Two factor authentication using devices such as tokens and ATM cards has been proposed to solve the password problem and have shown to be difficult to hack. Two-factor authentication (T-FA) or (2FA) is a system wherein two different factors are used in conjunction to authenticate. The proposed method guarantees that authenticating to services, such as online Shopping, is done in a very secure manner. The system involves using a OTP (One Time Password) Algorithm generation of Dynamic password for second way of authentication. One time password uses information sent as an SMS to the user as part of the login process. 1. S. Milne et al., “Are Guidelines Enough? An Introduction to Designing Web Sites Accessible to Older People,” IBM Systems J., vol. 44, no. 3, 2005, pp. 557–571. 2. ISO 9241-11:1998, Ergonomic Requirements for Office Work with Visual Display Terminals (VDTs)—Part 11: Guidance on Usability, Int’l Organization for Standards, 1998. 3. Z. Obrenovic, J. Abascal, and D. Starcevic, “Universal Accessibility as a Multimodal Design Issue,” Comm. ACM, vol. 50, no. 5, 2007, pp. 83–88. 4. T. Rønning, “Hverdagsteknologi for Alle—eller Nesten Alle” (“Everyday Technology for All—or Nearly All), Norges Blinde (The Blind in Norway), no. 6, 2004. 5. I. Klironomos et al., “White Paper: Promoting Design for All and e-Accessibility in Europe,” Universal Access in the Information Society, vol. 5, no. 1, 2006, pp. 105–119. 6. K.S. Fuglerud al., Universal Design of IT-Based Solutions for Registration and Authentication, tech. report DART/02/09. Norwegian Computing Center, 2009. 7. L. von Ahn, M. Blum, and J. Langford, “Telling Humans and Computers Apart automatically,” Comm. ACM, vol. 47, no. 2, 2004, pp. 56–60. 9. M. May, Inaccessibility of CAPTCHA: Alternatives toVisual Turing Tests on the Web, vol. 2008, W3C WorkingGroup Note, 23 Nov. 2005; www.w3.org/TR/turingtest. 10. M.E. Zurko and K. Johar, “Standards, Usable Security, and Accessibility: Can We Constrain the Problem Any Further?” Proc. 4th Symp. Usable PrivacyandSecurity(SOUPS08),2008;http://cups.cs.cmu.edu/soups/2008/SOAPS/zurko.pdf. 11. P. Wintlev-Jensen, “Ambient Assisted Living Joint Programme Objectives and Participation Rules,” presentation at ICT 2008, 2008; http://www.alpsbiocluster.eu/call-for-projects/aal/AAL_Nakita_Vodjdani.pdf. 12. P.T. Jaeger, “Beyond Section 508: The Spectrum of Legal Requirements for Accessible e-Government Web Sites in the United States,” J. Government Information, vol. 30, no. 4, 2004, pp. 518–533. 13. H. Hochheiser, J. Feng, and J. Lazar, “Challenges in Universally Usable Privacy and Security,” Proc. Symp. Usable Privacy and Security (SOUPS 08), 2008; cups. cs.cmu.edu/soups/2008/SOAPS/hochheiser.pdf. Abstract: Cloud Computing is used to allow efficient sharing of equipment and services. It facilitates to run the applications of an organization on a central data center rather than running them at themselves. This goal is achieved using an architectural approach of offered services on a network of consumers. Cloud is emerging as a phenomenon and it is happening at the confluence of several trends in the software industry. Service oriented architectures; virtualization and internet based application delivery have grown up to meet out the expectations of the end customers. Cloud is a major next step in this area. Cloud computing allows various tasks to be executed over a network using various services. Different types of services including infrastructure as a service, platform as a service, software as service have been proposed for cloud computing. Some of the benefits of cloud computing include reduced cost, scalability, better performance, service oriented and availability of easily and quickly movable application development. There are many types of cloud computing services available from various vendors. Computational cloud services provide on demand commuting resources that are scalable, inexpensive and can run any type of application. Storage cloud services allow all clients to store their large datasets on provider’s storage banks. Application cloud allows access too many services that a developer can integrate to build their application. The goal of this paper is to provide detailed understanding of cloud computing framework and its relation to service oriented architecture. The Paper also highlights the idea of virtualization, cloud computing services, some advantages and the challenges. Keywords: The Paper also highlights the idea of virtualization, cloud computing services, some advantages and the challenges. 1. Raines, Geoffrey (2009), Cloud computing and SOA.Washington: D C Metro area. 2. Armbrust, Michael (2009), A Berkley View of Cloud Computing. United State of America: California. 3. WIKIPEDIA, “Cloud Computing”, http://en.wikipedia.org/wiki/Cloud computing, May 2008. 4. Leavitt, Neal (2009), “Is Cloud Computing Really Ready for Prime Time,” Journal of IEEE Computer Society, pp. 292-312. 5. Ditto, Appendix A (http://www.nsf.gov/od/oci/reports/APXA.pdf). 6. The Grid: Blueprint for a New Computing Infrastructure, 2nd Edition, Morgan Kaufmann, 2004. ISBN: 1-55860-933-4. 7. GLOBUS: http://www.globus.org/, accessed May 2008. 8. HADOOP: http://hadoop.apache.org/core/, accessed May 2008. 9. M. Vouk et al., “Powered by VCL’ – Using Virtual Computing Laboratory (VCL) Technology to Power Cloud Computing”. Proceedings of the 2nd International Conference on Virtual Computing (ICVCI), pp 1–10, 2008. 10. Michael Bell, “Introduction to Service-oriented Modeling”, Service-oriented Modeling: Service Analysis, Design, and Architecture. Wiley & Sons, ISBN 978-0-470-14111-3, 2008. 11. Thomas ERL, “Service-oriented Architecture: Concepts, Technology, and Design”, Upper Saddle River: Prentice Hall PTR. ISBN 0-13-185858-0, 2005. 12. D. Kyriazis et al., “A Real-time Service Oriented Infrastructure”, International Conference on Real-Time and Embedded Systems (RTES 2010), Singapore, November 2010.